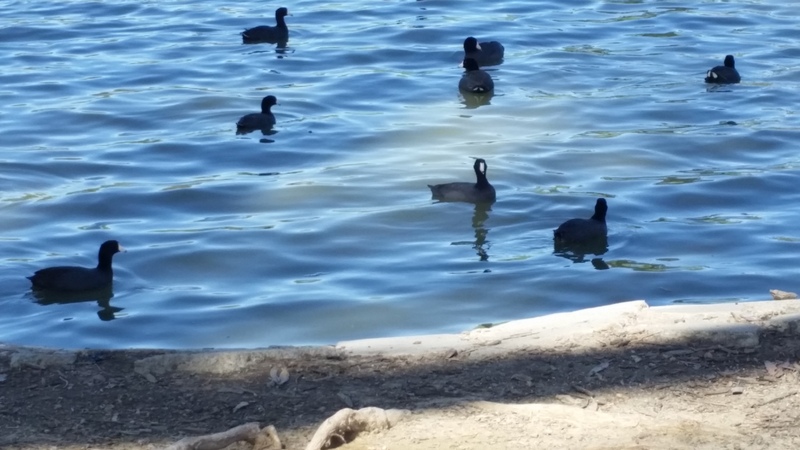 American Coots, I believe. I was at Lake Elisabeth in Fremont, today, and there were hundreds of them in the water and on shore. Possibly thousands. I'm not good at counting mass quantities of randomly oscillating birds. I have an excitable dog. He was beside himself. Then a squirrel gave him the finger and ducked into a hole. Full terrier mode engaged. He wanted to dig that squirrel up SOOOOO BAD. Squirrels in this region are called 'sicsic'. This little squirrel-chaser is named Wilson, or so said the human who was along for his walk. The human was carrying a dainty bag of something warm, so I am going to believe him. Irrelevant to the point of course, that Wilson is a good boy. 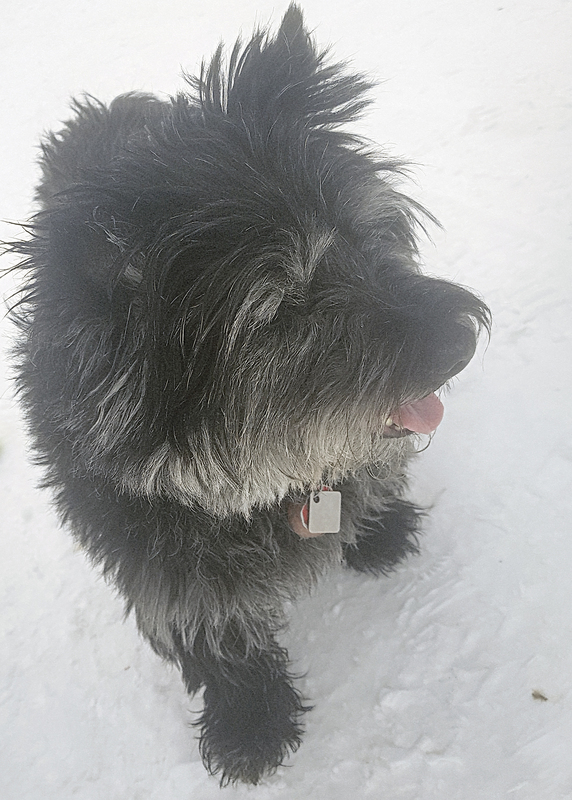 Wilson looks a little smaller than my dog, but they share the terrier face, coat and desire to wreak havoc on smartass squirrels and other rodents. My pup caught a gopher popping out of a hole up on a ridge we like to walk. Sadly, he's never caught one of the gophers who terrorize my gardens. I've got the annual mergansers, but only a few.